Of late, almost all businesses have come to realize that they cannot function on the Internet without an effective content strategy. In fact, content has come to rule the Web and it is only here to stay. Perhaps, it will prove to be an effective marketing strategy as long as there is the Internet. 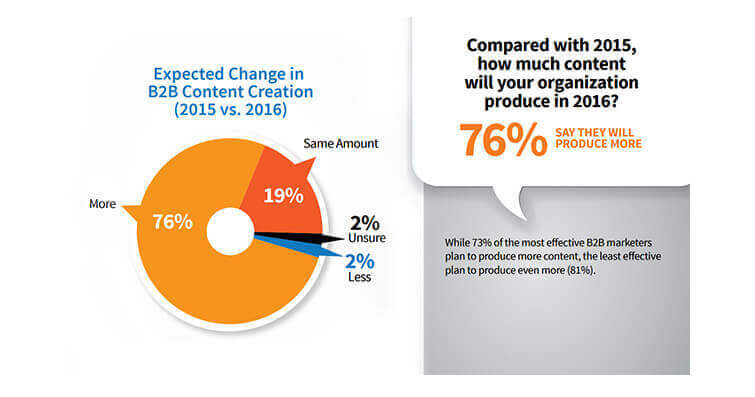 However, because content marketing is a niche that is ever-evolving, therefore, businesses need to stay updated to get the results that they desire. 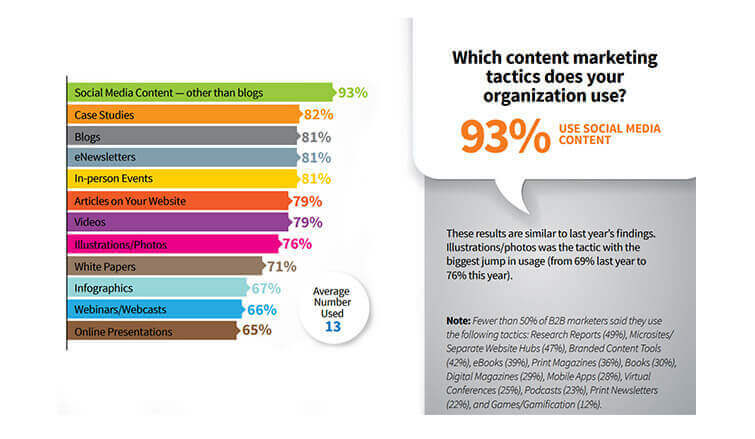 Smart Insights recently conducted a survey and highlighted the fact that content marketing proves to be the most successful digital marketing techniques at 22% (the highest). It is not possible, therefore, for any business to avoid this marketing strategy, especially in 2016 and the times to come. To make this blog furthermore useful for our readers, we have listed out the content marketing trends to follow in 2016 and ahead too. Have a look at these trends. In order to get noticed, all you need is quality and not quantity. The Internet is full of content, but to make yourself look different, you need a content that actually makes a difference. A hurried reader on the Internet is looking for meaningful infographics and images that can define the essence of your business quickly. Give them some interesting pictures, graphics and charts that assist your article and make it meaningful. 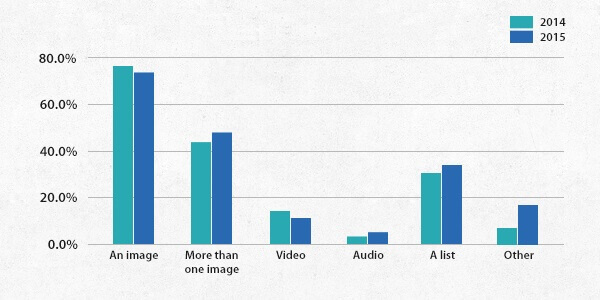 No one can escape from social media as a distributor of the content. It proves to be one of the most important and effective tools of content marketing. Social media can give you the ready audience that just needs to be channelized properly. Most of the users these days are accessing the Internet from their mobiles only. Desktop searches have taken a complete setback after the introduction of smartphones. 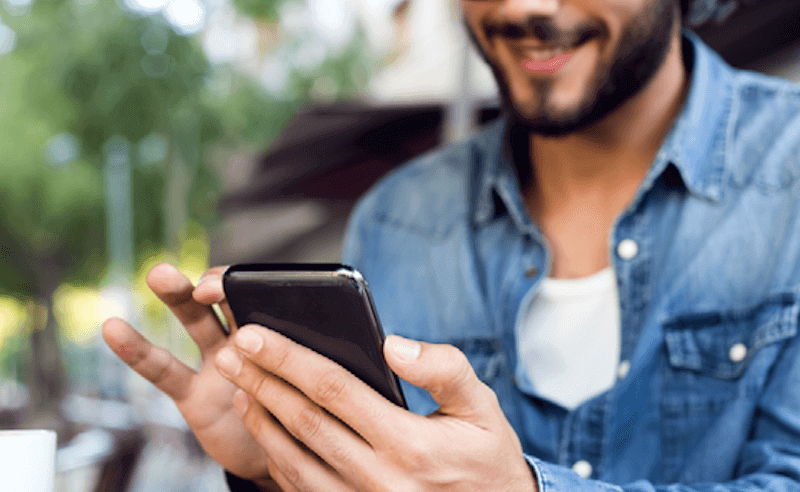 It is important that your content is optimized for mobile search because this is where your potential customer is looking for you. With these strategies, you are bound to make a mark in the field of digital marketing, using the content.